THIS is IT! The lot YOU are looking for! 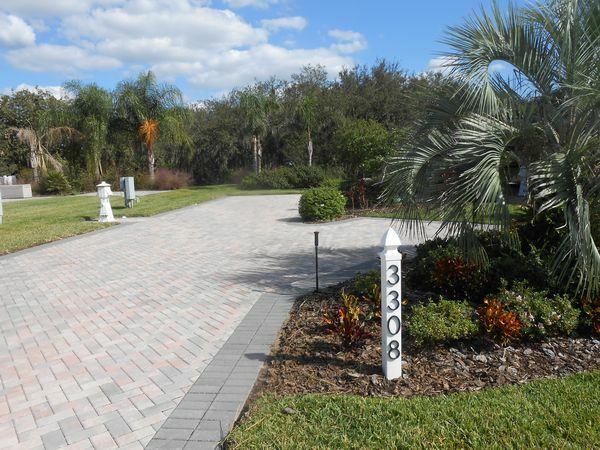 3308 Fish Hawk Dr.
MAKE YOUR RESERVATION FOR YOUR VACATION ON THIS BEAUTIFUL LANDSCAPED LOT BEFORE IT IS GONE! 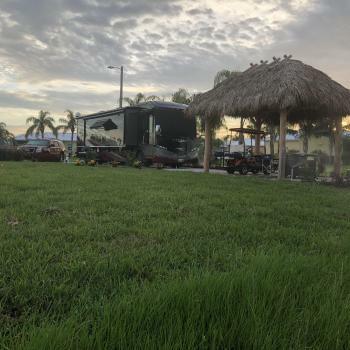 THIS LOT HAS BEEN RENTED FOR JANUARY, FEBRUARY & MARCH 2020. 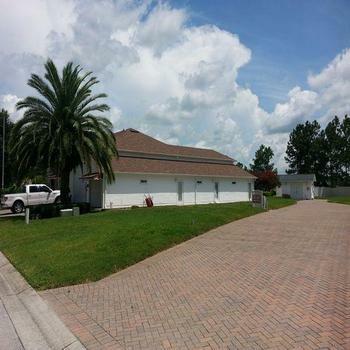 We are located on Bay Lake Motorcoach Blvd. just south of I-4 at exit 44 (follow the road just past Luvs Truck Stop on the left). 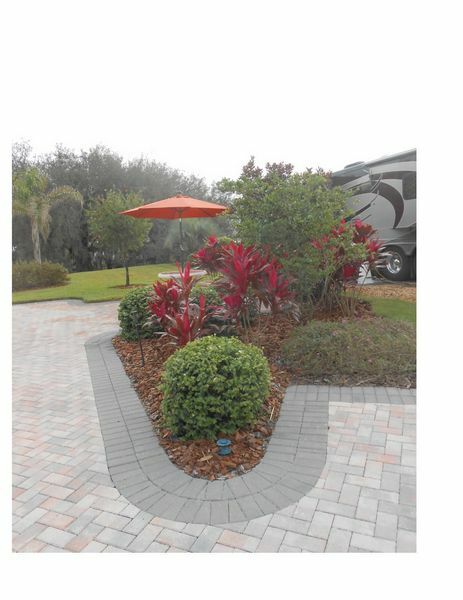 We are designed as a Class A motorcoach resort catering to the 55+ crowd! 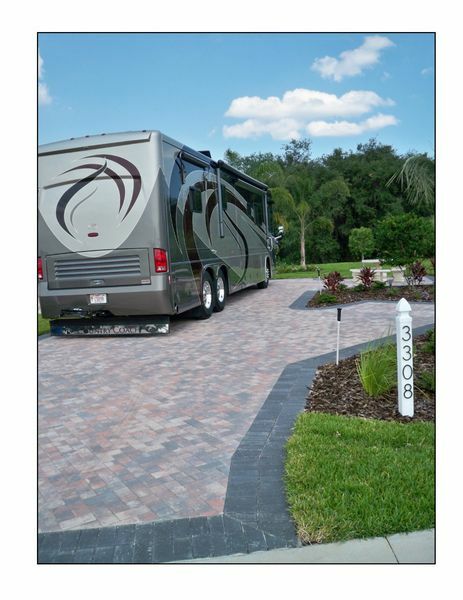 When you arrive (3308 Fish Hawk Dr.) you will find plenty of space to easily park your Class A coach on the 70ft. 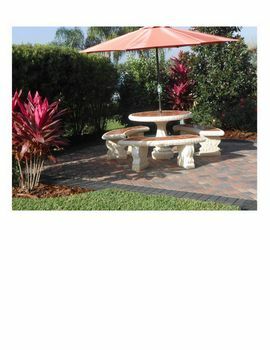 brick paver pad and then eat your lunch on the 14'x14' patio with concrete table & benches. You will be pleased with our 12,000 sq ft clubhouse which includes heated pool & hot tub, showers, movie theatre, computer room, library, laundry & banquet hall. Hanging out here is a favorite for many of our renters and owners! You will find that our owners really like talking with our renters! Watch the sunrise over 1100 acre secluded Lake Mattie before putting your boat in at the boat launch. Store your boat on your trailer in the near by parking lot. If you do not have a boat, enjoy the Lake in our canoe or 2 kayaks (no extra charge)! Do you like walking? Or do you prefer driving in your golf cart? 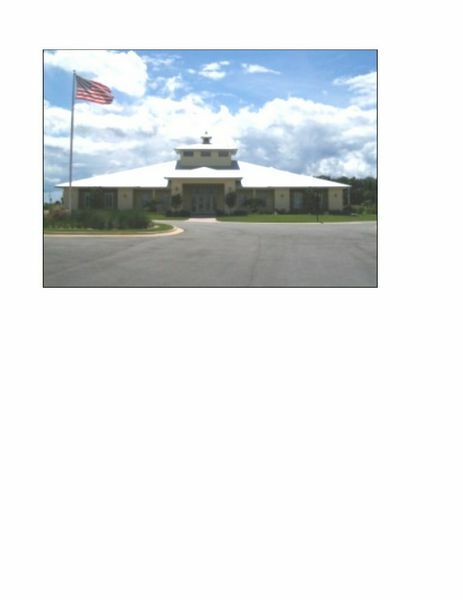 Either is permitted on our 10 acre East Wind Nature Preserve located adjacent to your rental lot. You will find more than 100 Live Oaks with hanging Spanish Moss and citrus trees as well as other Florida trees on this beautiful wetland and upland. . During the winter months, this area is home to many migratory birds and butterflies. If you enjoy exploring nature, this is the place to be! 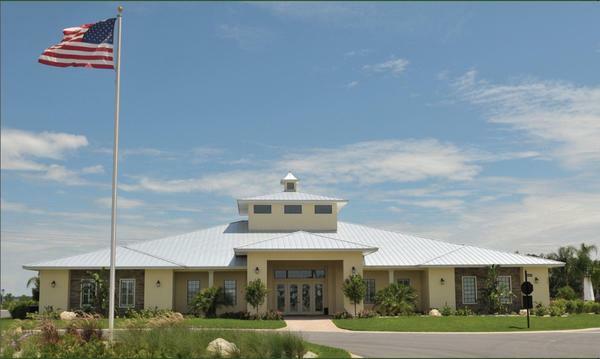 We are surrounded by orange groves and wetlands to the south. Toward the end of February the orange blossoms fill the night air with their beautiful soft scent -- an experience you will long remember! 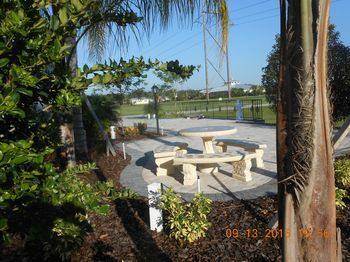 AFTER YOU EXPLORE THE PARK YOU WILL BE READY FOR THE EXCITEMENT SURROUNDING YOU IN CENTRAL FLORIDA! Make the 25 minute ride to either Disney to the east, Legoland (Winter Haven) to the south or Lakeland to the west. The Christmas decorations at Disney are fantastic --- this is a memory that you will talk about for many years. IN SEASON RATE (January thru March): $400 plus tax per week or $1300 plus tax per month (January thru March). Water, sewer, 30/50 amp electric are included. No extra fees! PLEASE NOTE: Weekly rentals become available on November 1st for In Season (January, February & March) reservations Daily reservations are accepted if available within a 2 week window during these same months..
CLICK ON THE ATTACHMENT BELOW FOR A FULL DESCRIPTION OF OUR RENTAL RATES. THIS LOT IS PRIVATELY OWNED. CALL US DIRECTLY AND WE WILL SEND YOU OUR INFORMATION PACKET! HAVE YOU MADE YOUR RESERVATION YET? 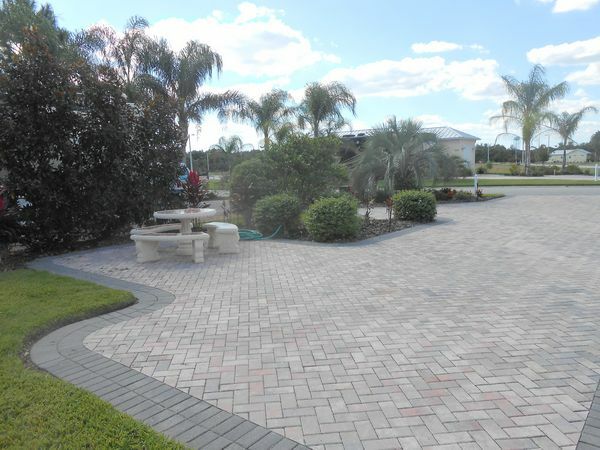 CALL NOW TO GET THE LOT AND DATES THAT YOU WANT!